Now we are starting to work with organisms that are more likely to appear in a hospital, like staph and influenza, and we have our sights on Clostridia difficile, Pneumococcus aeruginosa, Acetinobacter baumanii and an alarming number of other bacteria that are resistant to antibiotics. We are also working on influenza, which has a convenient little feature called M2e. 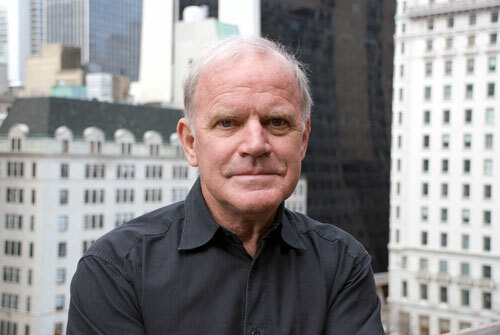 I sat down with Kary Mullis in New York to talk about his current work which involves instant mobilization of the immune system to neutralize invading pathogens and toxins. This comes into play in the fight against Influenza A and drug resistant Staphylococcus aureus. "We are devising a drug that will selectively attach alpha-gal epitopes to Staphylococcus," he says, "This epitope is recognized by your immune system as a symbol for, 'Eat me.' The immune system doesn't know what the Staph bacteria is, but since the alpha-gal epitope is attached to it, it complies with protocol and eats it. It doesn't notice, "This is phony, we're being set up." "If you're driving through L.A. and you get stopped for speeding and a cop throws a bag of marijuana in your back seat and busts you for it, you get outraged. Using our drugs, you've fooled your immune system in the same way. But it's your system; it's okay to do it, as long as you don't stick the epitope on something you need." Mullis received the Nobel Prize for his invention of PCR, a method of amplifying DNA. PCR multiplies a single, microscopic strand of the genetic material billions of times within hours. The process has multiple applications in medicine, genetics, biotechnology, and forensics. Mullis points out that PCR, because of its ability to extract DNA from fossils, is in reality the basis of a new scientific discipline, paleobiology. You don't interview Kary Mullis, you turn the camera on, sit back and experience him. He talks, you listen. He's fascinating, exciting. In this regard, I am pleased to present, unedited, the first half-hour of video, followed by the edited text of the complete conversation. KARY MULLIS received a Nobel Prize in chemistry in 1993, for his invention of the polymerase chain reaction (PCR). The process, which Mullis conceptualized in 1983, is hailed as one of the monumental scientific techniques of the twentieth century. [KARY MULLIS] We're working on a way to manipulate the existing immune system so it can attack things it's not already immune to. We've been controlling bacteria for years with antibiotics, but the bacteria are catching on. We've never been good at controlling viruses unless we prepare for them well in advance by vaccination, but now we can use the same method for them too, and in both cases the cure is not administered until you are infected, and it works right away. It sounds to good to be true, so did antibiotics—they called them "miracle drugs." In order to understand what we're doing, I should explain how the immune system works. Most people know you've got this system, but not how it actually functions down on the level of molecules and cells. It's a collection of lots of different kinds of cells, each with their own purposes. There are about as many as you have in your brain distributed mostly in special areas all over your body. The business end of the system is a set of hungry cells that will destroy and ingest things that are designated by the whole system as being "other." The rest of the system is charged with preventing them from eating anything else. New cells are always being born. And they are right away tested for their ability to make antibodies that attach themselves onto things that are "other". Antibodies are molecular markers. If they make antibodies that attach too something that's "you," the immune cells are killed and also eaten. Not much goes to waste. There is a very clever selection process underway. Right after an immune cell, is born, a special part of its DNA is scrambled uniquely. The scrambling is done largely by an enzyme we picked up from a retrovirus we got infected by maybe 60-80 million years ago--not "we" actually but rather something maybe slimy but with teeth, which was dreaming about becoming us in the long course of evolution. The virus managed to get into the genome of our germ plasma. About half of our genome, by the way, is picked up from viruses: used genes. It's shocking and a little humbling to hear this. As a result of DNA scrambling, every new immune cell is genetically uniquely encoded, in one region, to produce a particular protein structure which has never been seen before and that hopefully will have the ability to bind to some structure which at the time is unknown. If it makes a protein which binds to anything currently in your body, that anything is most likely going to be "you," and so the cell is killed. But if the protein, which is referred to now as a B-cell receptor, can't bind tightly to anything presently around, then the new cell is allowed to live. These young immune cells are escorted around your body looking at various tissues to make sure there's nothing native in you that its B-cell receptor will bind hard to. After that, it's just left alone, or it hangs out in a lymph node. It probably gets a medal indicating it's legal. If now something foreign appears in your body that it CAN bind to, a reasonable assumption is that the thing is not you. There are other cells that sense when there are increasing numbers of this foreign thing, indicating that it could be a threat, and an immune response gets underway. What began as a lone cell, with the ability to make an antibody resembling its unique B-cell receptor except that the antibody can be excreted in quantity, gets a new medal or two and is instructed to divide itself as fast as possible, and the daughter cells start pumping out the antibodies. The antibodies attached to the invader are an invitation for all kinds of specialized immune cells to have their way with it. The elapsed time since the foreigner arrived could have been weeks. It took a long time for scientists to understand how it is that from a limited genome, we can make antibodies that bind tightly to anything at all. Something from Mars could show up in your body and you could make an antibody to it. It didn't make sense. There wouldn't be enough information in your DNA to make a strong binding site for all possible entities. Sir Frank Macfarlane Burnet came up with the explanation just offered. One of the problems is that the immune system might not figure out that there is a foreign entity present until that entity has already multiplied rapidly. A bacteria can reproduce itself every 30 minutes, and so the numbers go up really fast when you get infected with a bacteria. If the right cells are not there in the little spot where the bacteria is, it may take quite a while before your immune system responds. This long bureaucratic process by which the right cell is put to work can be described as a hierarchy of immune cells having to make a lot of decisions. The question would be whether this thing is reproducing rapidly enough that we need to make a response at all? And if so, what kind of a response? And every single action your immune system takes causes some collateral damage. It's like you're going to go to war or you're not going to go to war. And so it's not a cheap thing to do, for one thing. It's a serious decision. It usually takes a couple of weeks before you really have a strong immune response to any particular new thing. This immune response lasts until there are many antibody receptors on the growing clone that are left empty. When the system senses an abundance of these, it realizes the foreign thing is gone. It is like an army withdrawing from war. Most of those cells, specifically suited to fight the defeated entity, are slowly eliminated. A few of them are kept, like keeping a reserve. They're called memory cells, so if you ever run into that thing again, there's at least a thousand cells to start with instead of one. This way, you can make an immune response faster. I started thinking about this and how we might help it along. It occurred to me that there are certain powerful immune responses that we have from shortly after birth, and we keep them powerful, prepared to act at any time. They target things that are fairly common in our environment. One of these things is called the alpha-Gal epitope. It's a fairly simple trisaccharide which happens to be chemically synthesizable in a lab. About one percent of our immunity is devoted expressly to it. What if you could chemically alter those antibodies with a drug, such that they would bind to something else? Something that you had just contracted, and you would like to be immune to today. Instead of your immune system having to figure out what you have — a hospital lab could figure it out. Perhaps a patient has staphylococcus aureus. Chemists could devise a linker molecule which on one end would bind to some part of Staph, and on the other end, it would sport an alpha-Gal epitope. The alpha-Gal antibodies would bind to the alpha-Gal and thereby to the Staph. It's a clever trick and so far, it works. It is applicable to any organism that has something specific on its surface, and all organisms do. It's a matter of pride. We can now easily look through the literature of the ten or twenty different organisms that are starting to escape antibiotics to determine what their surface proteins are. You always find some little fragment that stands out. Just like if you were looking at a person, you could say this person has got a funny little ear, and he's always going to have it when I run into him. If I can get something to clamp to his ear, that itself is attached to an alpha-Gal epitope, I've got him. That's the way the immune response works. It doesn't stick to the whole organism but basically finds some feature on it that's sticking out somewhere. So I'm looking for something that's always going to be on an organism that I expect to be a problem soon. Staph has a neat little spot where it has to have a receptor for picking up iron when it's living in a human. It has one kind that picks up the haem group from our hemoglobin, and takes it inside the staph cell. It's got to have that all the time. The reason for this is because Staph has to interact with a protein, created by the Staph, that goes out and gets the haem, brings it back, and docks with it. This feature of the Staph is always present on its surface, always conserved in the structure. If it messed with the structure, for example mutating it fast, then it wouldn't fit with the docking protein, the thing couldn't get iron, couldn't grow inside you, and you wouldn't have a problem. I look through the structural information that's already accumulated by a thousand people in the world who study staphylococcus in a broad sense, and I say, well, here's a peptide, a ten amino acid peptide that looks like an unstructured kind of loop. It's wonderful that all that information is there, without having to go into a laboratory. Some people might find it boring, but I find it really exciting. I'm looking for the Achilles heel of any organism that needs to be taken off the street. Once I find a possible target, colleagues can employ processes to discover relevant aptamer molecules to bind it. Our system uses 'aptamers', a relatively novel class of DNA/RNA binding molecules, which were originally discovered in a systematic manner using the clever Selex process, invented by Craig Tuerk twenty or so years ago, and are now being explored for a variety of applications through use of Selex and other methods. Aptamers will bind very specifically to the target, and with high affinity — meaning that they attach to the given target but not to other targets, and to that given target strongly. It is fairly complicated, but chemists have come a long way from turning lead into gold. They use a machine to make single-stranded DNA, not the double kind in a spiral, but single strands. We want a known sequence of about 20 bases on the left end and a known sequence of 20 bases on the right end. Then in the middle we want about 30 bases, which are randomly selected from a bottle with all four bases in it. That means we have a potential for about 10^18 different molecules in the same tube. That's more than the number of stars in the visible universe. Even one copy of each of them would not fit in a test tube, so we have to be content with about 10^11, which is more like the number of stars in our own galaxy. Some of them will bind to our target. They will be retained by a small column containing many copies of our target immobilized on a solid support. We wash the non-binders away, and using the polymerase chain reaction, we make billions of copies of the binders. We can do this because we know what sequence they all have on their ends and we can make short primers to match these. Now we sequence a few of them completely, and with the sequence in hand, we can synthesize large amounts. All that is left to do is stick a synthetic alpha-Gal epitope on the aptamer and we have a drug. That's how it works in theory. When I first started working on this, about ten years ago, the molecules that we made were not at all stable in serum. There are lots of enzymes that destroy foreign DNA. It also seemed likely that the kidney would dispose of such a drug right away once we started putting it in animals. Following a suggestion from Jeeva Vivekananda we have found several innovative ways to stabilize the aptamers in the circulation, and these are currently under further investigation. Anyway, that is how we explain their serum stability to ourselves and the fact that in our first in vivo trials in rats, our drug that was designed to bind to the lethal factor, which is part of the anthrax toxin mechanism, saved the lives of the nervous rats who had been infected with a lethal dose of anthrax. It was a very impressive experiment. We did it over and over again, and it definitely worked. It's very promising, in my opinion, because the process for making the drug is prescribed completely. A lot of different labs had to cooperate to make it. It's not something simple like PCR, for when I invented that, I could do it all by myself. But in the case of anthrax, you've got to have a lab that's used to doing it, or you'll end up killing yourself. You need an infectious disease lab and you need people that know how to raise and medically support small animals. It's a complicated process. What I do personally is the research, which I can do from home because of the Internet, which pleases me immensely. I don't need to go to a library; I don't need to even talk to people face to face. I do travel to the labs. At Brooks Air Force Base in San Antonio, where we did the anthrax work, we are now working on a couple of strains of e-coli that are bothersome and dangerous. Drugs that kill lots of different organisms breed many resistant strains of bacteria. They pass little things called plasmids freely around that contain instructions for making the resistance proteins. It's like somebody standing out on the corner giving out leaflets and not just to other members of its own species. That is why resistance to organisms is spreading rapidly. When Alexander Fleming first discovered penicillin, his boss, Almoth Roth said bacteria would become resistant to it. It took longer than Roth thought, but it is happening. The narrowly directed drugs won't make bacteria resistant to them because they don't effect every other organism: they're not going to bother your e-coli or bother all the other organisms in your mouth and in your body. Once they are out of your body, they won't be effective at all. This is an important point. If you take penicillin, you excrete half of it. It goes down into the sewer in low, sub-clinical doses. It doesn't kill all the things in the sewer, but it definitely makes them start developing a resistance to penicillin. Most antibiotic resistance may not arise in our own bodies but elsewhere. I've gone to the pharmaceutical companies with this concept and they know it is a great idea. I expected them to buy in, but they didn't. It doesn't look like our drugs will make them $3 billion in the first year, which is their model. They like blockbuster drugs that people take on a daily basis. You spend the $200 million to get it approved, and then you have ten years or so of an exclusive market on it. During that time, resistance to the drug might start happening, but you still have a proprietary product all the way through. That's the economic model. It's not a good long-term strategy, because once you get resistance to one drug, you have resistance to that whole class of drugs, and there are most likely a limited number of classes. We're running out of antibiotics. But people will catch on. This is a good thing. We will produce a pipeline of antibiotic-type drugs. They're not really antibiotics in the sense that they don't kill bacteria; they urge your immune system to do it. They say "eat me!."